At Finity Tax, we understand the unique circumstances and opportunities that you face as a medical professional. In conjunction with your Finity Group advisor, we ensure that your short and long term financial and tax strategies align. Each year, the tax law changes. When this impacts you, we act. Whether we have a new opportunity or are mitigating damage, we have your best interests in mind. While working with Finity Tax we prepare, plan, and are accessible to you. Planning and coordination is essential to getting your tax return right. At a minimum we perform a comprehensive annual review directly with your financial advisor. For those that need it, we perform annual tax projections and active transaction planning. Advice comes from all over, it’s impossible to know what is good without a trusted advisor in your corner. When you have questions, we have the right answers. Ryan is a Partner at Finity Tax and founded the firm. He is directly involved with all Finity Tax operations and is constantly striving to improve the firm’s technical knowledge and skills. Ryan believes that the foundation of success is the highest ethical standards in practice. 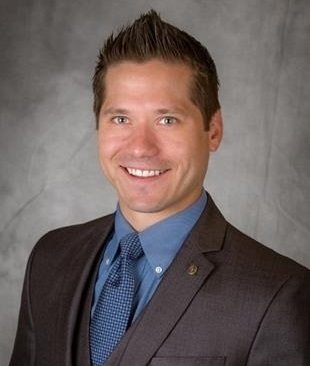 Ryan began practicing public accounting in January 2008 after graduating from the University of Arizona in December 2007 with a Bachelor of Science in Business Administration with a major in Accounting. He earned his Certified Public Accounting license in February of 2010. When not practicing, Ryan is with his family. Ryan and his wife are the proud parents of two daughters, a son, and four dogs. They love spending time outdoors skiing, hiking, star gazing, and reading.